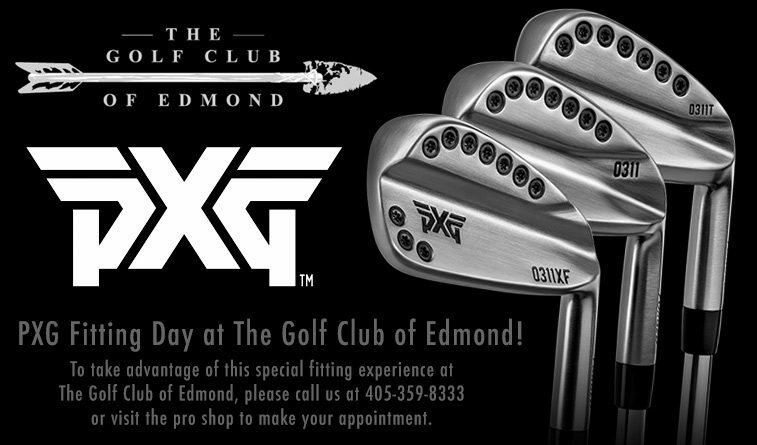 PXG Fitting Day at The Golf Club of Edmond! Widely recognized for its commitment to developing the world’s finest golf equipment, PXG offers golfers at every level of the game an unparalleled playing experience. The company’s formula for success is its focus on one thing: performance. Now you have the opportunity to be fitted by the company’s most elite staff. Trained by the guys who had a hand in building PXG clubs, PXG’s Master Fitters offer a premium fitting experience. Enjoy the benefits of PXG’s performance-enhancing technology built to your unique specifications. For more information about PXG clubs visit PXG.com. To take advantage of this special fitting experience at The Golf Club of Edmond, please call us at 405-359-8333 or visit the pro shop to make your appointment.